Sim Greene has twenty years in the US Navy as a Master-at-Arms. He lives aboard his sailboat, surfs when he likes, and loves a woman who is way out of his league. Assigned to investigate the death of a retired Navy Lieutenant, Sim finds himself tangled in something much larger and far darker than a simple murder. Purchase your Digital 1st Edition Today! The sea has inspired exceptional art, marvelous music, and the finest of literature. It is a thing of great beauty. It is also powerful and unforgiving. And it hides the darkest of secrets. Sometimes the water takes note of a small thing—a dumb little decision, a stupid bit of showing off—and it changes lives forever. Sim Greene is a fine companion and a gifted detective. A semi-devout bachelor in his late thirties, he lives in Channel Islands Harbor aboard Figaro, a 39-foot sailboat. He surfs when he likes, sails whenever he can, and loves a woman who is way out of his league. His best friend, Al Higgins, is a retired Navy Seal who lives on his own boat two slips over. 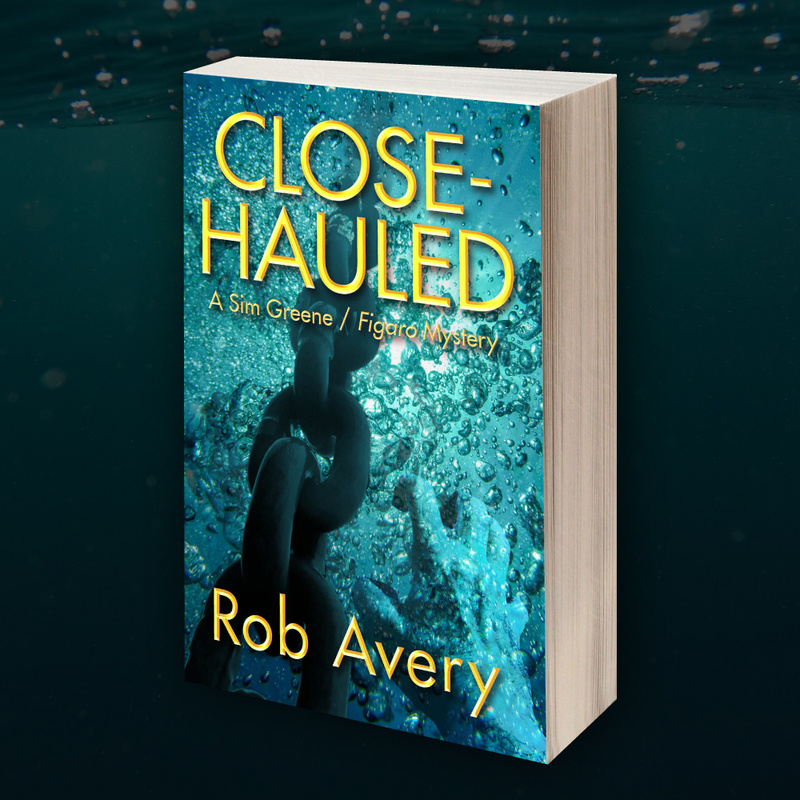 “Close-Hauled” is the first book in the Sim Greene / Figaro Mystery series. It introduces Sim as a Chief Petty Officer with twenty years in the US Navy as a Master-at-Arms and Al as his retired-but-still-dangerous friend. Sim enjoys his job but is hoping to be approved for officer training to boost his career and maybe land a slot in the Naval Criminal Investigative Service. Assigned to investigate the death of a retired Navy Lieutenant—something usually reserved for NCIS—Sim finds himself tangled in something much larger and far darker than a simple murder. Soon, the things he loves and the people he cares about are all at risk. Al is drawn into the situation and the two must use their wits and skills to survive. One false move and the spider web they’ve stumbled into will ruin their lives. Or end them. © 2019 Books by Rob Avery.